Miranda Yap played a pivotal role in the development of biomedical sciences in Singapore. 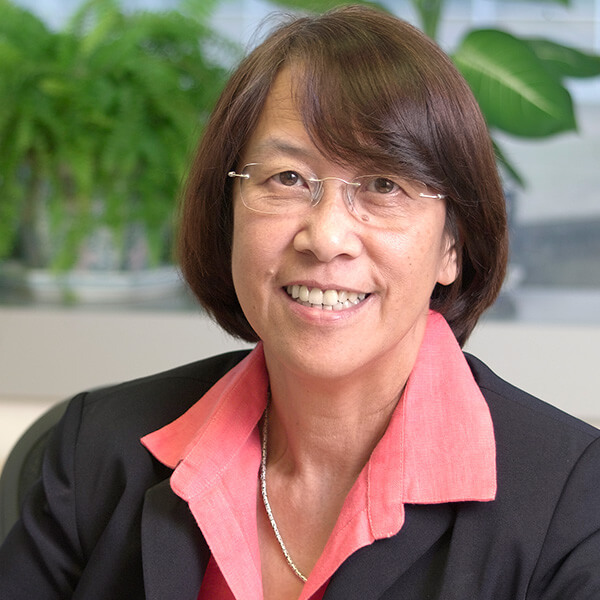 As the founding executive director of the Bioprocessing Technology Institute (BTI) and the executive director of the A*STAR Graduate Academy, she guided the development of specialised scientific institutions, some of which have been very successfully commercialised, and laid the foundations for Singapore’s thriving biologics industry. A strong believer in the importance of nurturing young research talent, she cultivated a vibrant research environment and concentrated on building a highly skilled research and development (R&D) talent pool. This led to important collaborations and partnerships with industry and helped Singapore to attract major biologics manufacturers from around the world to set up plants here. Biologics manufacturing is now a key sector of the Singapore economy. Miranda got her basic degree in applied chemistry from the National University of Singapore (NUS) in 1972, after which she got a master’s degree, with distinction, in biochemical engineering from University College London. She then went to the University of Toronto, where she earned her PhD in chemical engineering in 1979. She returned to Singapore in 1982 to join NUS as a lecturer. In 1990, Miranda helped to set up the Bioprocessing Technology Unit (BTU) with a grant from the Economic Development Board. In 1995 it was renamed the Bioprocessing Technology Centre (BTC). Eight years later, in 2003, its name was again changed, to Bioprocessing Technology Institute (BTI), and it moved to the new Biopolis research complex in Singapore. BTI, under Miranda’s leadership, steadily developed research capabilities in bioprocessing and provided core services for the biotechnology industry. She founded two organisations, the Centre for Natural Product Research, which is now called Merlion Pharmaceuticals, and the Biopharmaceutical Manufacturing Technology Center, which in 2004 became A-Bio Pharma, Singapore’s first biologics contracts manufacturing company. Also a professor in the Chemical and Biomolecular Engineering Faculty at NUS, Miranda was passionate about nurturing scientific talent. In 2006, she set up the Bioprocess Internship Programme to prepare science and engineering students for entry to the biopharmaceutical industry. Under the Youth Science programme, she started various initiatives to cultivate students’ interest in science and to get young Singaporeans to pursue careers in science and technology. In February 2006, Miranda was named a Foreign Associate of the United States National Academy of Engineering. Her election citation noted ‘her outstanding achievements in education, research and management in the field of mammalian cell culture’. She was the first foreign female associate and the only engineer in Singapore to be elected to the Academy. In 2009, Miranda was the first person to be awarded the President’s Science and Technology Medal, Singapore’s highest science and technology honour. The award was for ‘her sustained, distinguished and strategic contributions to Singapore’s biomedical sciences industry, particularly in the areas of developing the biologics industry sector, building the research culture and nurturing young talent’. “Somehow, industry never quite interested me. You were just making a lot of money for companies.